Hello, public speaking. So nice to meet you. Posted byFranz Vitulli February 2, 2015 September 4, 2018 Leave a comment on Hello, public speaking. So nice to meet you. Do you know when you take a look back at the resolutions you’ve made before the year kicked off and then realise you’ve failed them all? I’ve lost the count of how many times it happened to me. I think we’re pretty close to 30. My #ResolutionsFor2015: – Get better with coding. – Build and launch a new product. – Get into public speaking. That is all. As a result, February just began and I can already say that I have succeeded with one. Last Thursday I have spoken at the WordPress London Meetup about user support as a growth tool for online products and tech startups, and in less than a week I’m going to give some tips for good tech support at the WordCamp Norway, this time in the lightning talk / PechaKucha format. 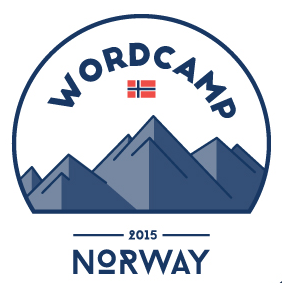 WordCamp Norway 2015 logo – Here we come, Oslo. Really looking forward to being in Oslo again, hanging out with some of the Humans (Scott, Jenny, Petya and Noel) sharing something with the community and having fun at another WordCamp!